Mouse Lesson - ABE S.O.S. The goal is to use a mouse with speed and accuracy. 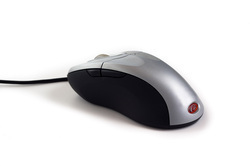 If you have access to Teknimedia, complete Mouse modules 1-11. If you do not have access Teknimedia, complete this: Mouse Tutorial. Close a window by selecting the X on the top of the window you wish to close. 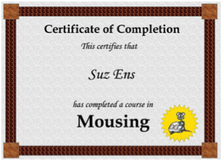 Show the Certificate with your name on it and give it to your instructor. Save the Certificate digitally and send it to your instructor. 2. Proceed to the Keyboard.